Reviews of John le Carré's novel A Delicate Truth and WWII film In the Fog, Peter and Virginia Bottomley on drama The Politician's Husband, and Adrian Lester's Cultural Exchange. 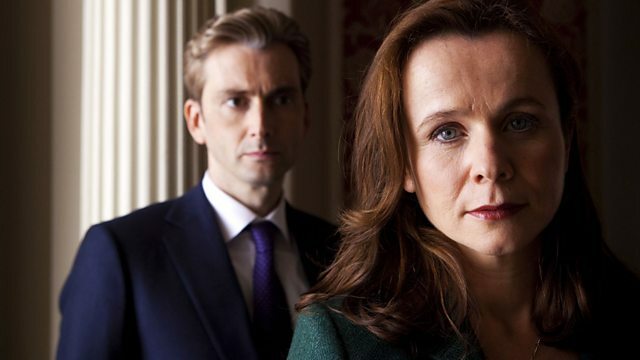 David Tennant and Emily Watson star in a new three part TV drama, The Politician's Husband. Written by Paula Milne, it centres on the family life, and career prospects of husband and wife MPs. As his fortunes wane, hers rise, with considerable repercussions. Baroness Virginia and Sir Peter Bottomley discuss whether it's a realistic depiction of a power couple. More from the Cultural Exchange project, in which 75 leading creative minds share their passion for a book, film, poem, piece of music or other work of art. Tonight actor Adrian Lester contributes Bob Marley's Redemption Song and explains why it struck such a chord when he heard it first in 1981 when he was 12. A Delicate Truth is the new novel by John le Carré and it finds the author returning to the world of espionage and diplomacy for which he is best known. The BBC's diplomatic correspondent Bridget Kendall gives her verdict. In The Fog, an award-winning World War II film set in the Soviet Union, centres around the developing relationship between a Nazi collaborator and two members of the resistance movement who have been sent to kill him. Larushka Ivan-Zadeh reviews. Adrian Lester chooses Redemption Song by Bob Marley.